This post is sponsored by MERRITHEW™. 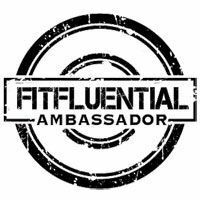 Being a fitness fanatic, I’ve always entertained the idea of getting an instructor certification. One of the things that has held me back, though, is knowing where and who to get that certification from. 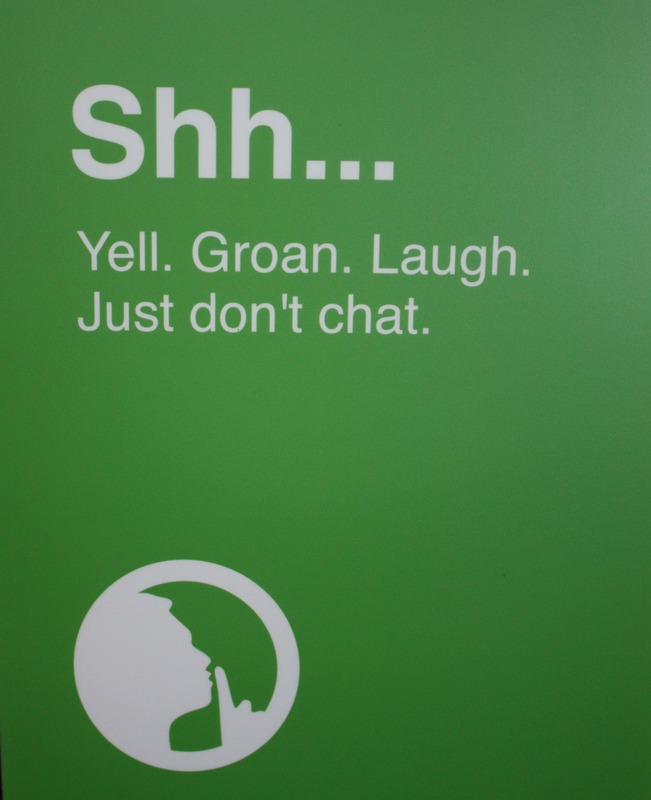 It’s important to find a great studio with great instructors. I had the opportunity to take a one-hour Pilates trainer workshop using MERRITHEW‘s high-end equipment, at MERRITHEW licensed training center John Garey Fitness and Pilates in Long Beach, Calif. My instructor was Certified Personal Trainer (NASM) Jake Robinson, who’s also a Registered Yoga Teacher by the Yoga Alliance and is also SpinPOWER certified. MERRITHEW provides equipment and educational materials to the fitness world. 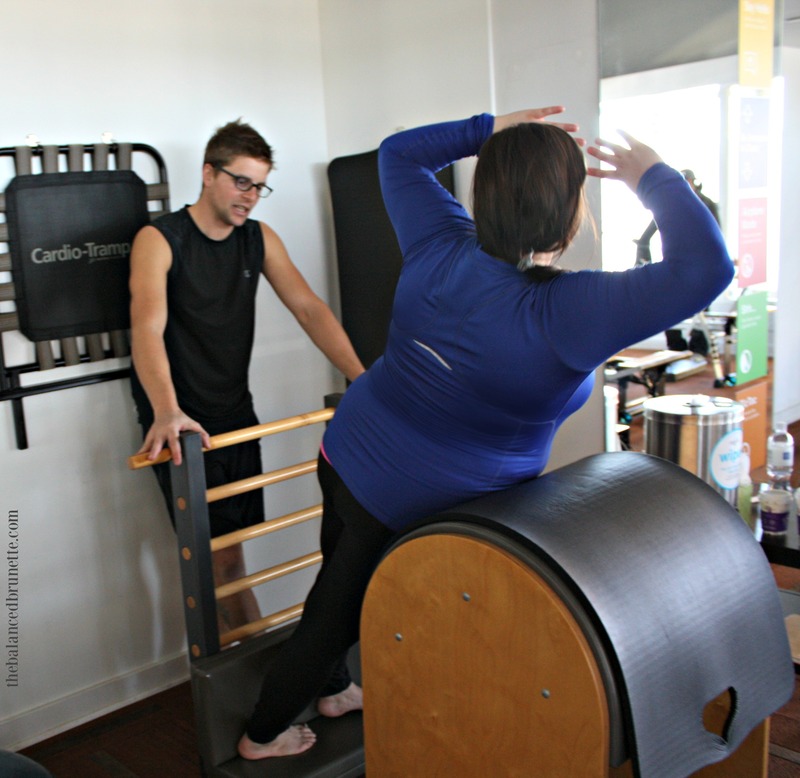 Their brands are STOTT PILATES®, ZEN•GA®, CORE™, and Total Barre™. 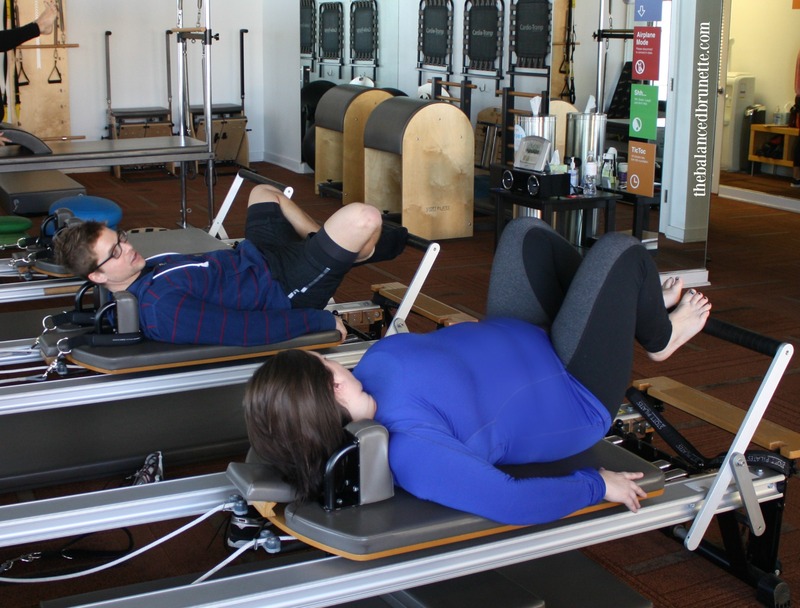 John Garey Fitness and Pilates uses all MERRITHEW equipment in their studio, including reformers, stability chairs, and barrels. 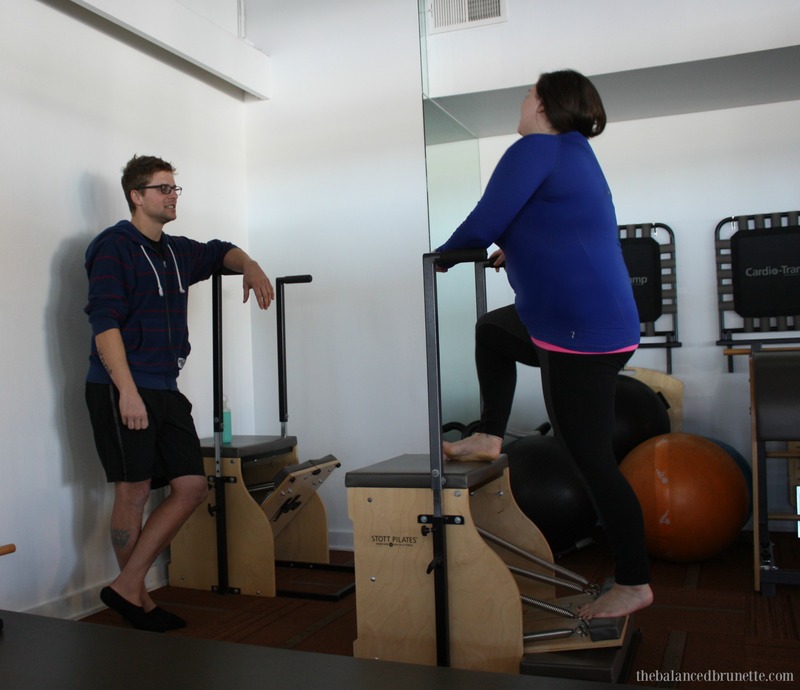 MERRITHEW offered me the chance to take a workshop; considering they’re considered the “Ivy League” of Pilates education, I couldn’t wait to give it a try! 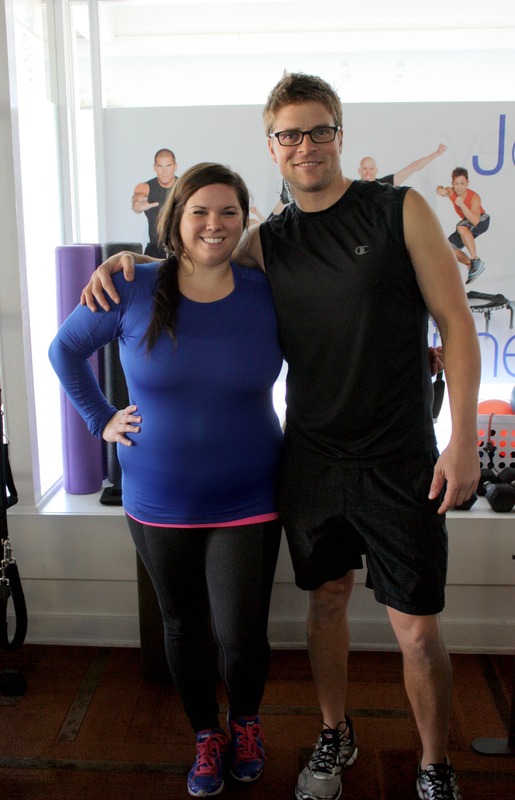 I met with Jake: a chef-turned-Pilates instructor who trains at John Garey. He was informative, helpful, and positive. 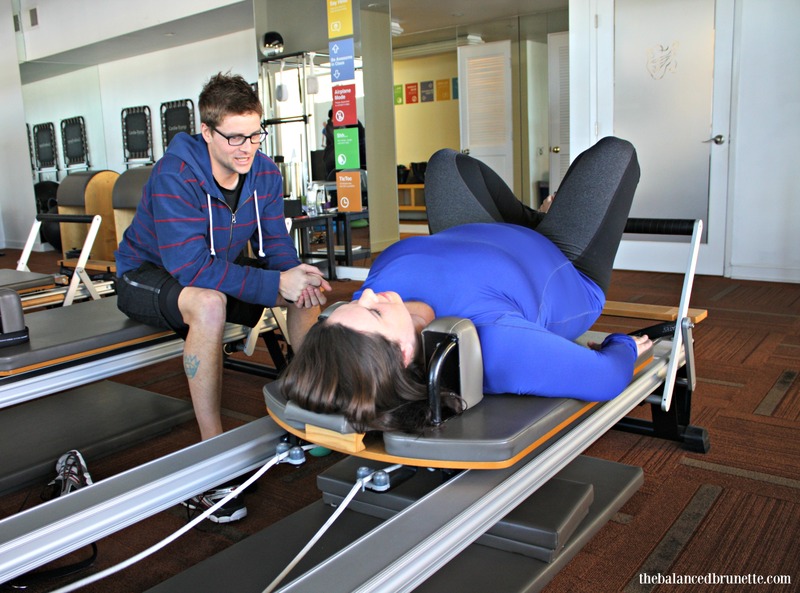 It was obvious Jake really loves Pilates! 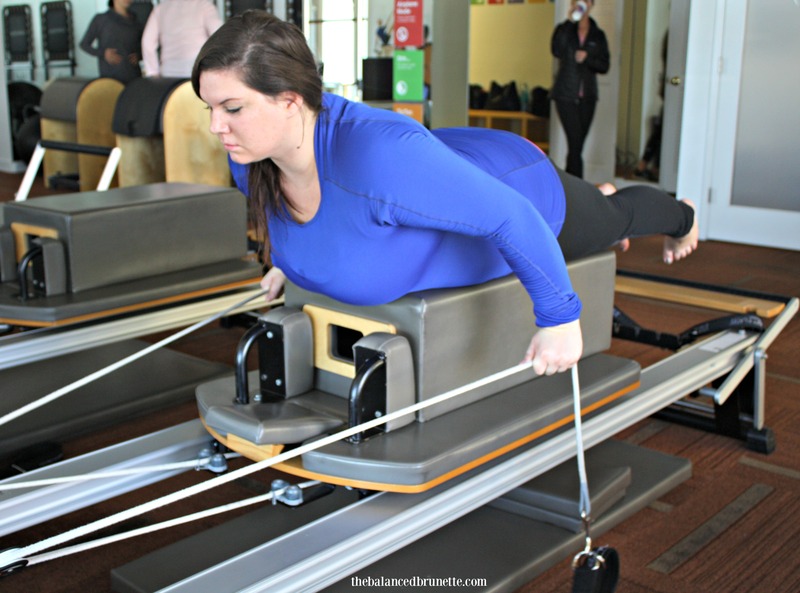 We spent most our time on the reformer, because there’s seriously SO much you can do with it! It’s a magical piece of equipment. What’s great is that you don’t really have to work hard to get serious results. I mean sure, the more you put into it, the more you get out of it, but I was definitely feeling the burn without breaking too much of a sweat! Jake had me step on the piece of wood that goes all the way to the floor. From there, I would use the handle bars to pull myself up (right photo). It’s an amazing core workout! I thought after a few tries, I’d be done. But nope! Jake had me try to pull myself up without the handle bars (left photo). If there is anything that’ll say, “you need to do more core work,” it’s this! Jake could pull himself up no problem, so it’s obviously a very effective piece of equipment. After spending some time with the Stability Chair™, we moved on to the Ladder Barrel. This was really fun! It really works the obliques. At first, I went side to side over the barrel. After that, I laid on the barrel (on my tummy) and did hundreds with my arms. Woo were my muscles feeling it! It’s a great way to stretch your legs, hips, and obliques. After all the work we did, it felt really good to stretch those muscles! Stretching is a crucial part of any exercise routine. There’s so many things that can be done on the Cadillac/Trapeze Table; it’s amazing! 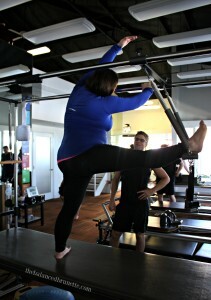 I learned so much about STOTT PILATES , MERRITHEW equipment, and tips for instruction during the one-hour session. I’ve always enjoyed Pilates, but I had never tried it using equipment (I’ve always done mat work). 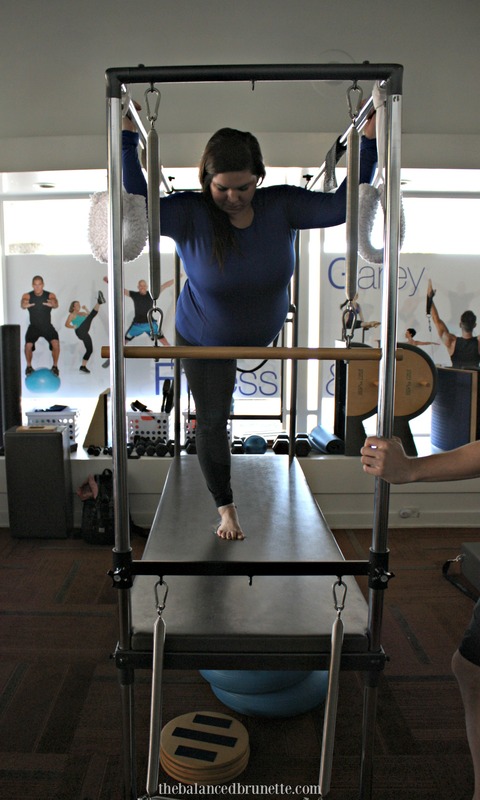 I cannot recommend John Garey Fitness and Pilates studio and MERRITHEW equipment enough! 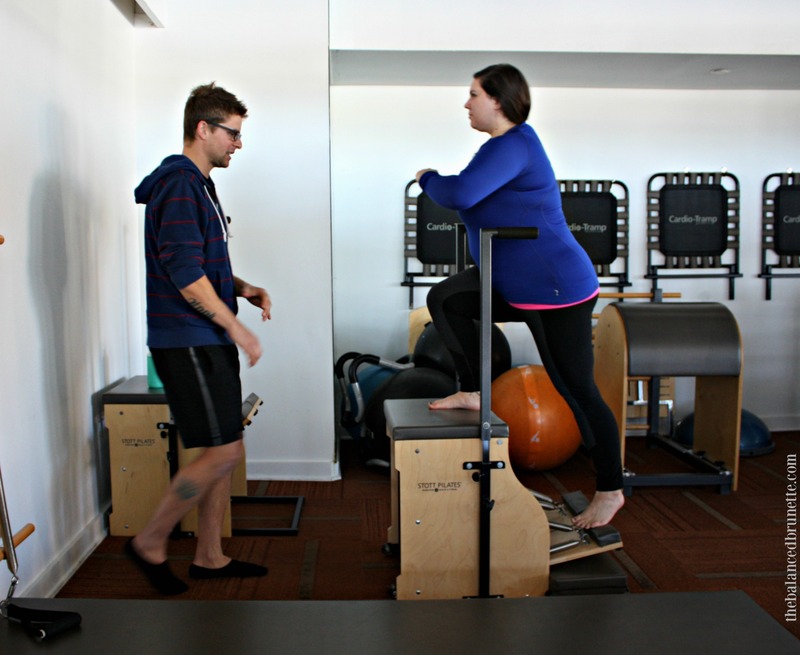 To learn more about becoming a STOTT PILATES® instructor, visit merrithew.com. From there, you’ll be able to contact an advisor. (562) 598-8585 or visiting 6547 E. PACIFIC COAST HIGHWAY, LONG BEACH, CA 90803. Have you ever used MERRITHEW equipment? What do you think of it? 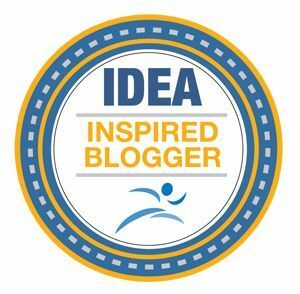 Do you have an instructor certification? 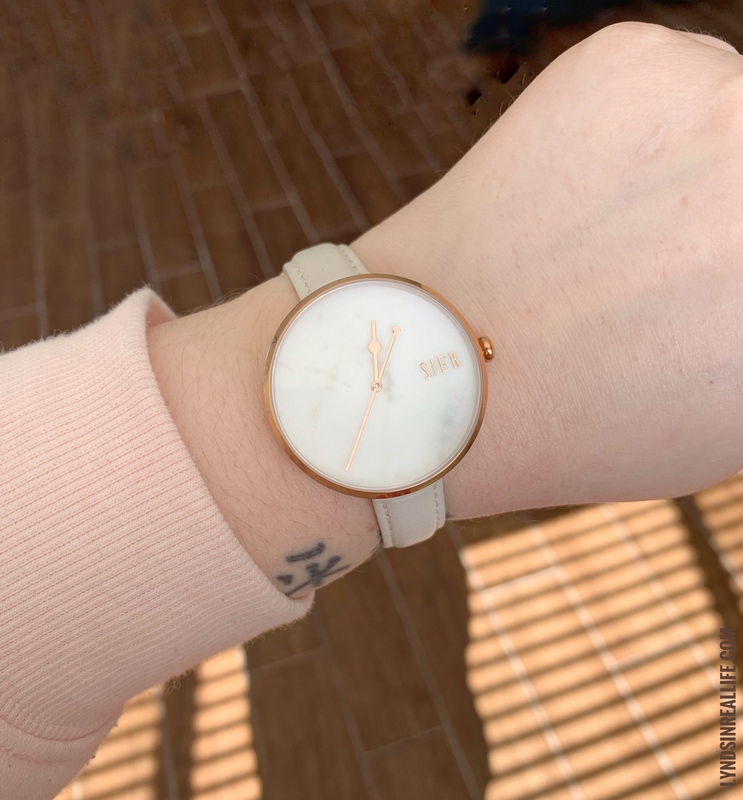 Where is it from and what kind of fitness? 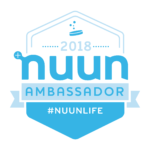 Cool experience! I like Pilates a lot but only ever have done mat work as well. So are you going to become certified in this then? If so, good luck and have fun! 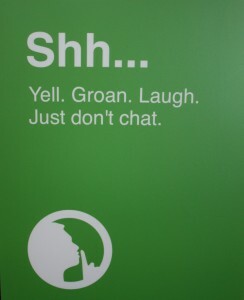 I would really like to! 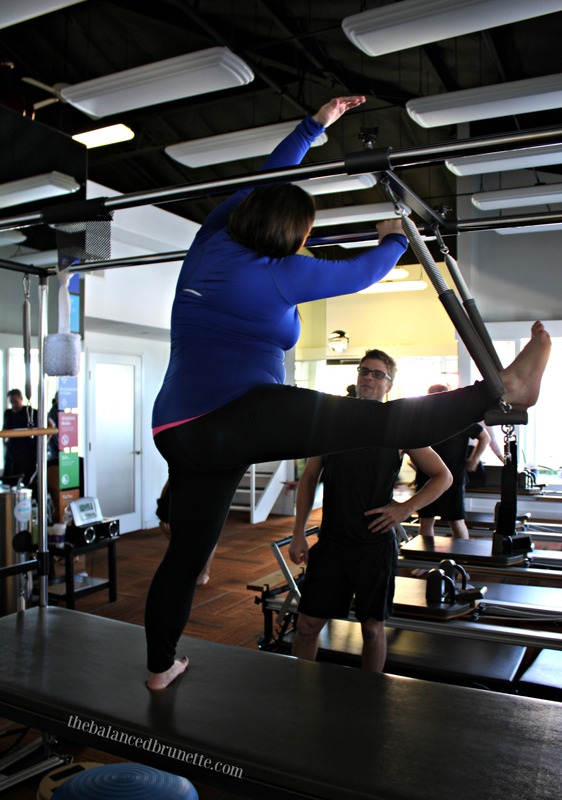 I was thinking of getting certified in yoga, but I’ve always enjoyed Pilates, and I love what the Reformer can do for the body. I definitely want to pursue it further! 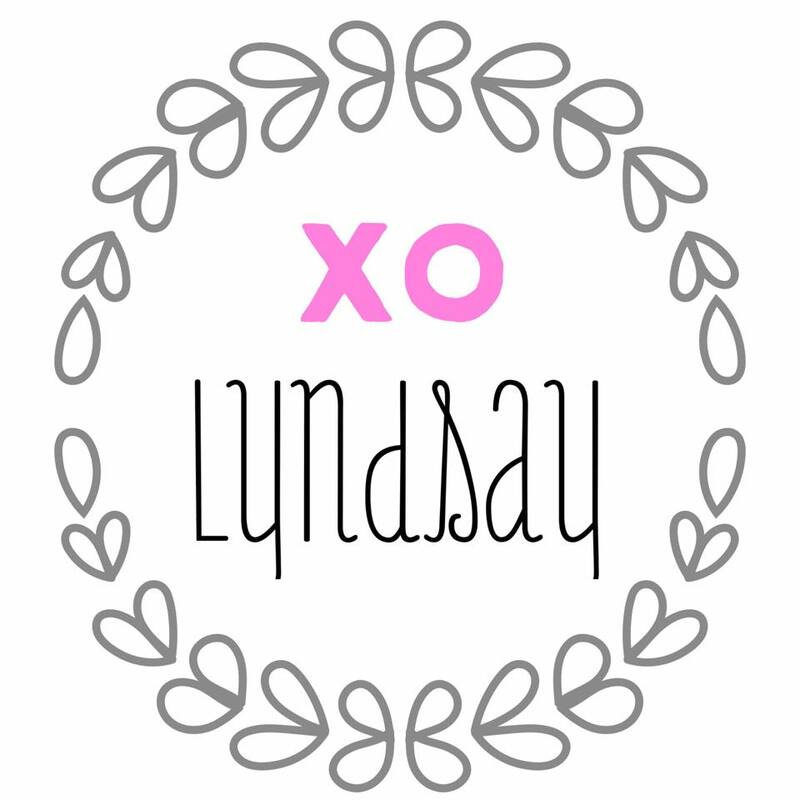 Thank you so much for your blog post. 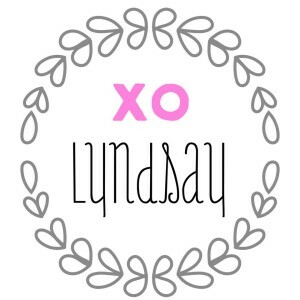 And thank you for visiting John Garey Fitness & Pilates. We hope to see you again soon. There is an attention and focus required in doing the exercises smoothly, a focus that changes your movement awareness even beyond the class session.